Milan "El Metodico" Melindo is set to face the former world title challenger Teerapong Uthaida (Fahlan Sakkreerin, Jr) on November 26, 2016, in Cebu City, Philippines. Melindo (34W-2L, 12KO) who failed two times in world title championship is coming back and try to pursue his dream to become a world champion. The 28 years old boxer from Cagayan de Oro City, Misamis Oriental, Philippines battles Juan Francisco Estrada in 2013 for the WBO and WBA super world flyweight title but loses via UD. After that, he tried to challenge the IBF World light flyweight champion Javier Mendoza but again he lost via Technical Decision. 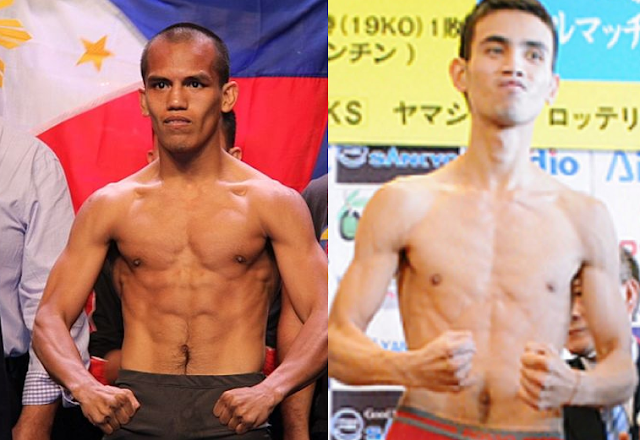 Since then, Melindo wins his last 2 fights and become a no.5 IBF world flyweight contender. On the other hand, Teerapong Uthaida (31W-4L, 16KO) alias Fahlan Sakkreerin, Jr is a 23 years old ranked no. 3 IBF flyweight contender. He was once fought for the IBF World minimumweight title against Katsunari Takayama of Japan last 2015 but lost via Technical Decision. Melindo vs Sakkeerin will be the headliner of the of the 39th Pinoy Pride series of ALA promotions.